Miss Print: The Week so Far + the Giveaway Winner! Love those stickers! Any info that would help me locate them? (brand, store?) Thanks! Hi Laura! 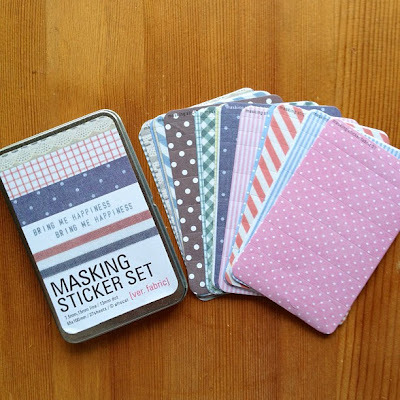 I actually found the stickers on eBay and they're made by Afrocat (which I think is a company out of Seoul) - I just did a search for "masking sticker set" and they come up. Don't know if you'd be able to buy them from a North American supplier though. Hi! I didn't want to comment on the giveaway post but I think it's so fun you are giving away that FQ bundle!! I'm glad you like it! I was worried I would be the only one!